Experts had predicted the hurricane flooding would eventually result in gasoline prices to skyrocket because of the shutdown of nearly a dozen refineries along the Gulf Coast. It happened Wednesday night when prices in Tulsa shot up 20 cents a gallon, reaching the price of $2.39 a gallon. 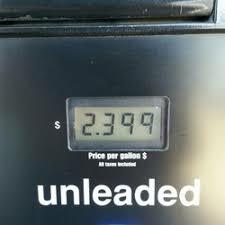 GasBuddy.com reported the high price at several convenience stores in Owasso and other Tulsa suburbs. 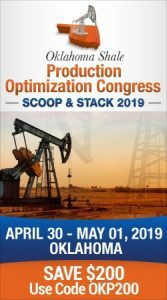 The prediction of increasing prices had come from GasBuddy.com’s petroleum analyst Patrick DeHaan. A check of prices in Oklahoma City did not yet reveal any increase in prices as significant as what happened in the Tulsa area. At least a dozen or more refineries had stopped production because of the flooding including five in the Houston area and six around Corpus Christi. Those refineries representing 12 to 15 percent of the nation’s refining capacity according to the U.S. Department of Energy and the American Petroleum Institute. Seven other refineries were operating at reduced capacity because of the storm and the damage it caused. Adding to the problem is that several ports were closed including Houston, Texas City, Galveston and Freeport. Infrastructure had also been disrupted including the Colonial Pipeline which carries gasoline to several states in the Southeast. How long will the price hike continue? DeHaan predicted at least two weeks to maybe more than a month.